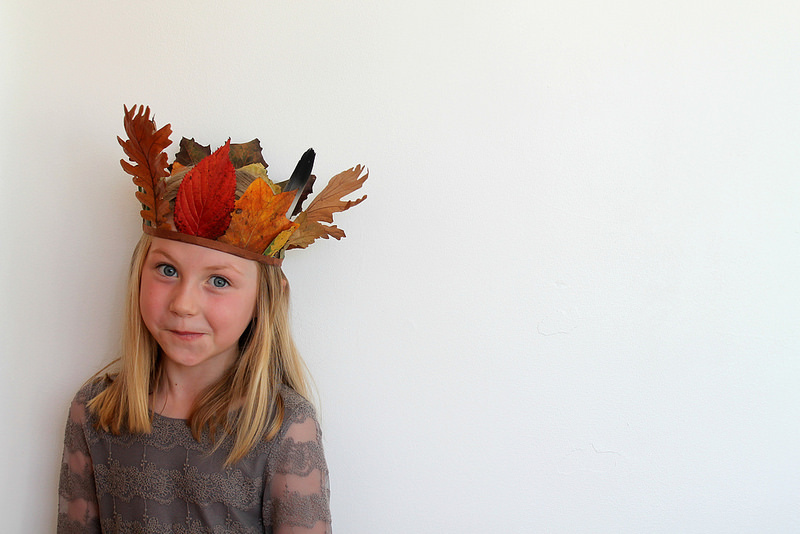 On the weekend, Elizabeth and I made a leaf crown, using some leaves and feathers we'd collected at the park the previous day. It was a sweet little project to do together and she loved wearing it for the rest of the afternoon! To make the crown, we used a length of bias binding and glued along the inside of the fold. We then selected the leaves and cut off the ends to make a flat edge. We placed the leaves all the way along the inside of the binding and once complete folded the edge over, making sure all the leaves were secure inside. To finish, we measured the crown around the head and secured at the back with a couple of staples. The leaves actually went a bit floppy after a while, so I think this would work better with something a little taller to support them. A piece of folded card to tuck the leaves inside could work well. That way they could always decorate the band afterwards with ribbon or sequins. Wonderful idea! I read somewhere you can stiffen leaves by dipping in wax to coat them (think I was a Martha Stewart tutorial perhaps). You little girl looks like a woodland flower fairy, smashing pictures. I love this, wonderful idea! 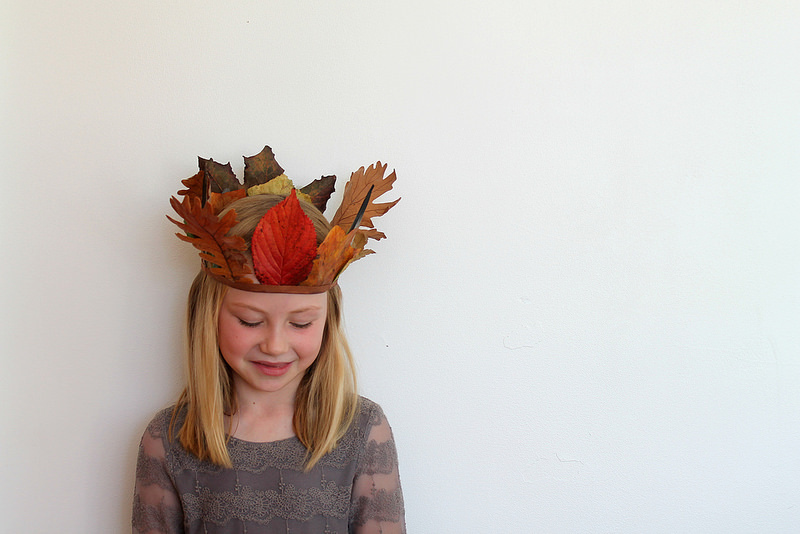 She's an angel with her leaf crown. Pretty crown and such a pretty pretty girl! Such a great make Caroline - my girls would love this. I was going to suggest beeswax too, it does preserve the colours! Love this! I wonder if grown-ups could wear them too? Indoors, of course... and possibly after a mulled wine or two. I really love it. Elizabeth looks adorable wearing it. 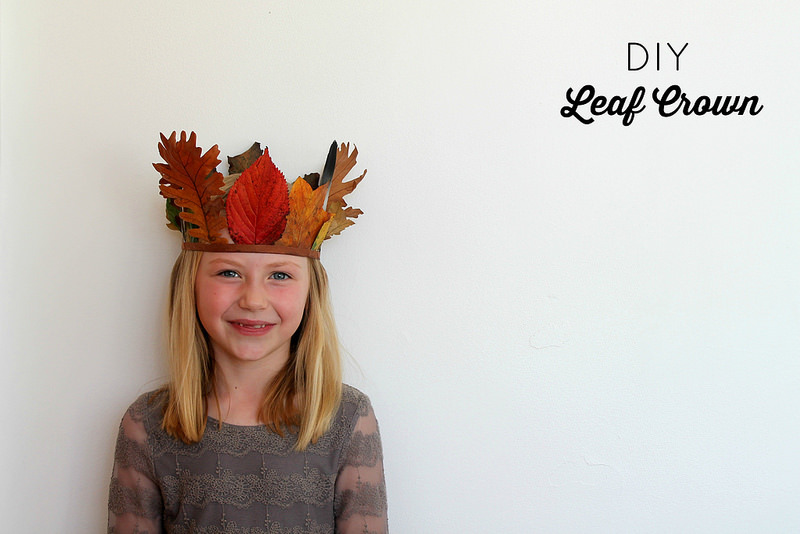 I've made leaf or feather crowns from construction paper but this is so much more natural.